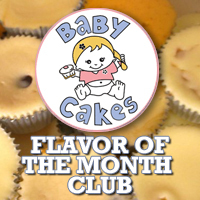 Baby Cakes are handmade, homemade, individual cheesecakes. Every event is different and everyone has different tastes. I understand how important your event is and pay extra special attention to detail to make sure that your Baby Cakes fit the personalities of you and your guests. I would honor the opportunity to be able to help you add the "wow" factor to your special occasion. 3.5oz individual cheesecakes are perfect for your dinner party, book club meeting, birthday party or wedding. They make perfect client gifts too. Baby Bites are bite size and are great for baby showers, business meetings, rehearsal dinners, and events. The perfect compliment to any menu, these are sure to be a hit. Instead of picking your own flavor, try one of my creations! Specialty Bites are some of my favorite combinations of flavors and crusts. Same great taste but without the sugar. Made with Truvia®, they are perfect for someone with dietary restrictions. 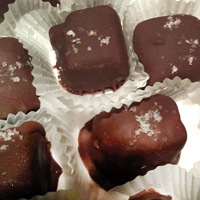 All sugar-free bites have a graham cracker crust. Because sometimes you just want the crust! 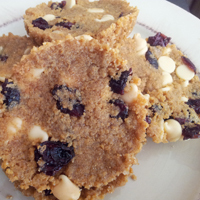 Cookies made from the crust of the cheesecake with the added deliciousness of the cheesecake flavors. 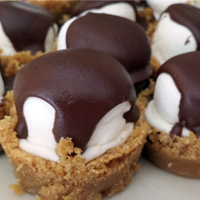 Marshmallows in graham cracker cups dipped in chocolate. Local delivery or pick-up only. Salted caramel dipped in milk chocolate. 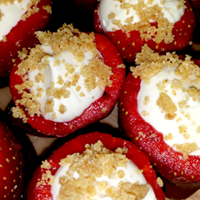 Strawberries stuffed with cheesecake dipped in chocolate and then topped with graham cracker crust crumbles.